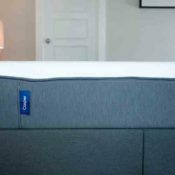 6 Most Comfortable Mattresses 2019 - Which Is Best For You? 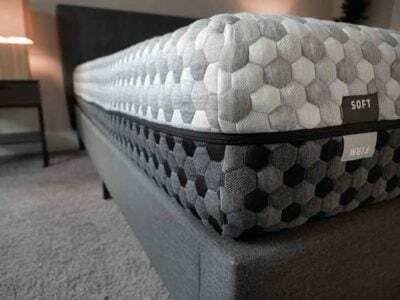 Home » 6 Most Comfortable Mattresses 2019 – Which Is Best For You? 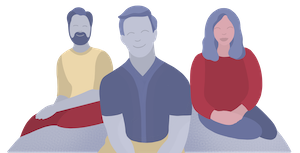 Over the years, we at Mattress Clarity have listed our top picks for a variety of mattress categories. We’ve talked about the best memory foam mattresses, the best soft mattresses, and many others. But in the end, most people just want to know one thing: What is the most comfortable mattress? 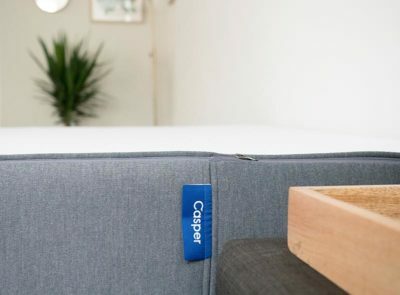 While there is no single mattress that will be universally appealing to everyone, we’ve chosen six comfortable mattresses that, in our opinion, really stand out. We’ve also been sure to discuss what type of sleeper should find the most comfort on each of these mattresses. Which mattress will give you the comfort you’ve been seeking? Read on for our top picks. Layla is a personal favorite of mine. The memory foam really melts away any pressure that someone might otherwise feel. Nolah has a propietary top foam layer that I find to be incredibly comfortable. It relieves pressure and won't give you the stuck in the mud feeling that memory foam is known for. Casper features a zoned construction that makes it a great fit for all three sleeping positions. 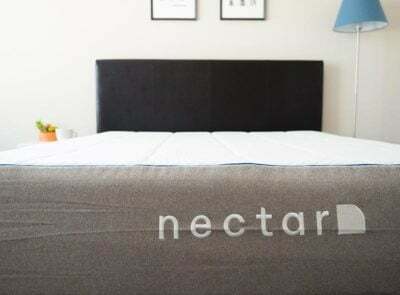 Nectar is a very comfortable mattress that also happens to be quite affordable, making it a great value. 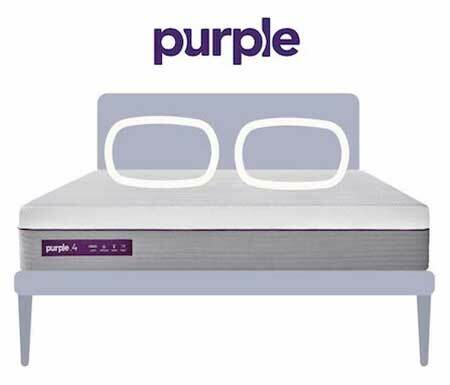 The Purple 4 is a very comfortable mattress that is highly durable and a great fit for heavier sleepers. The Saatva is a very comfortable spring mattress with a pillow top. It is also a great value. Having tried so many amazing mattresses, it was difficult to narrow down the list to only six. However, these mattresses have impressed us with their quality, value, and overall comfort. Here are our six picks for most comfortable mattresses. The Layla is a unique mattress in that it is flippable. This means it offers two firmness options in one mattress. It has a soft side (which is softer than average) and a firm side (which is firmer than average). Compared with the six comfortable mattresses on this list, it offers impressive value. Considering the low price and quality components, it is very affordable. If you are looking for a comfortable deal, the Layla could be a great choice. It is also an excellent option for side sleepers. The soft side features copper-infused memory foam. This is good for pressure relief, so side sleepers of many sizes should feel little pressure on their shoulders and hips. The Layla also has that classic memory foam feel. You should slowly sink into the mattress and feel that soft, quicksand-like feel. This mattress is an excellent value. It offers the soft comfort you might find on a more expensive mattress. This is a great, affordable mattress. The Layla is flippable, so you get two firmnesses in one mattress. There is a soft side and a firm side, so it offers two levels of support. The soft side of the Layla should be an excellent match for side sleepers. The copper-infused memory foam does a great job of relieving pressure on the shoulders and hips. This should be one of the cooler-sleeping mattresses on this list. The cover contains Thermogel, which should help dissipate heat. 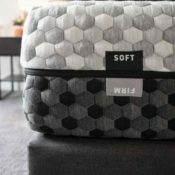 In addition, there are air channels in the support layer to promote air flow, and the copper-infused memory foam comfort layer should also help with heat dissipation. The copper-infused memory foam could also give you some health benefits. The copper is antimicrobial and could also promote blood circulation. 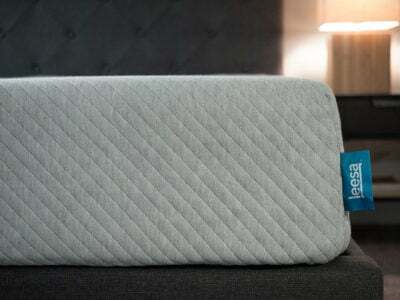 The Nolah is an all-foam mattress that contains a proprietary foam called AirFoam. This foam is designed to offer the benefits of memory foam, but for a fraction of the price. The AirFoam is soft and comfortable and could be a great match for light- and medium-weight side sleepers. 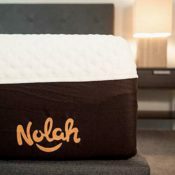 The Nolah is one of the more pressure-relieving mattresses I have tried. I will note that heavier-weight sleepers might need to find a more supportive mattress. They could press through the soft comfort layer and hit the support layers beneath. They might want to consider the Nolah Signature mattress. This foam is also very responsive, so I felt great pressure relief without getting stuck. I sunk into the mattress a bit, but I did not have trouble moving around. In addition, the AirFoam is made to dissipate heat. I did not sleep hot on this mattress. So if you want a comfortable foam mattress but don’t want to overheat, this could be a great option. The AirFoam is a comfortable, value alternative to memory foam. 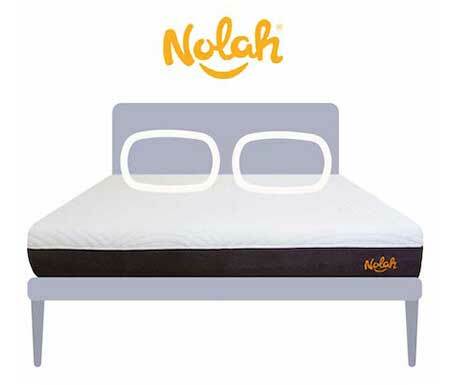 The Nolah could be a great mattress for light- and medium-weight side sleepers. It is a very comfortable material and should relieve pressure on the shoulders and hips. It should offer soft comfort without you feeling stuck. The AirFoam is responsive, so moving around on the mattress shouldn’t be a chore. The Nolah is also a cooler-sleeping foam mattress. The AirFoam dissipates heat, so you should be sleeping calm and cool on this mattress. 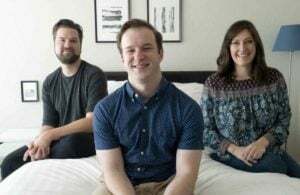 The Casper is a comfortable mattress that could be a great match for all three sleeping positions. This is because it features a Zoned Support system. The center section of the mattress is firmer, while the top and bottom sections are softer. Because of this, back and stomach sleepers will get the support they need, and their hips won’t sink too far into the mattress. At the same time, side sleepers will feel great pressure relief on their shoulders. So, if you move around while you sleep or identify as a combination sleeper, this could be a great match. The Zoned Support helps keep you from sinking too far into the mattress and getting stuck. The Casper is very comfortable, but you should be able to move around very easily. Also, if you sleep hot, this could be a great pick. The top foam layer is open-celled, so it is very breathable. This should keep you from overheating on the Casper. 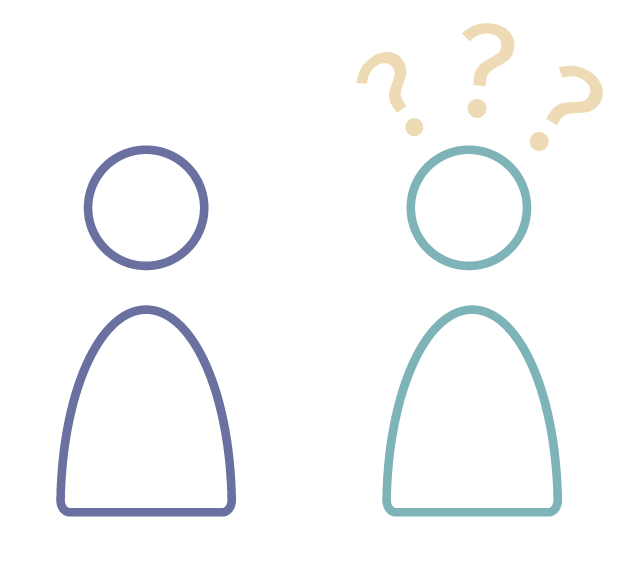 What Makes The Casper Stand Out? The proprietary Zoned Support system makes this a great choice for combination sleepers. Back and stomach sleepers should find the support they need, and side sleepers should feel nice pressure relief. The Casper should offer great pressure relief without trapping you in the mattress. The mattress is very comfortable, but you shouldn’t feel stuck. This mattress is a great match for hot sleepers who still want foam comfort. The top layer should dissipate heat and keep you cool while you sleep. Check out our full Casper mattress review. The Nectar mattress is my top value pick on this list. While many of the other mattresses are a good deal, this mattress is, in my opinion, the best bang for your buck. This mattress also has a very thick memory foam comfort layer. It feels a bit firm at first, but then you slowly sink into the mattress and feel that pressure melt away. Side sleepers should feel excellent pressure relief on the Nectar. 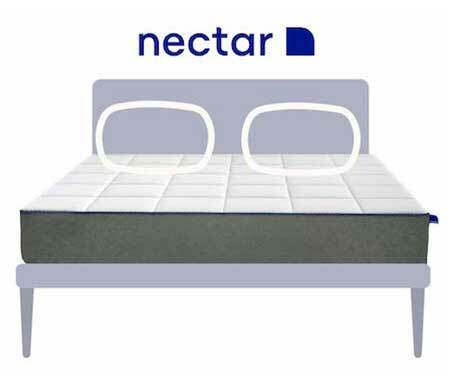 The Nectar is also a great option for many back sleepers. The soft foam conforms to the curves of your body and also presses up into the lumbar area to help give you support. Overall, the Nectar has that classic memory foam feel. You slowly sink into the mattress. Those who like this type of feel should enjoy this mattress. The Nectar is an excellent value. You get a soft, memory foam mattress for a very affordable price. The mattress could be a great match for side sleepers. You sink into the mattress and should feel almost no pressure on your shoulders and hips. Most back sleepers should also find the support they need on the Nectar. The top layer is soft, but it should contour well to your body and support the lumbar area. Fans of memory foam will love the Nolah. It gives you that slow, sinking feeling where you are slowly enveloped by the mattress. All the Purple mattresses (the Purple and the Purple 2, 3, and 4) feature a proprietary, hyper-elastic gel polymer. It is a very unique gel grid that is firm and pressure-relieving at the same time. It is designed to stay flat and supportive until a certain amount of pressure is applied. When that happens, the gel collapses. This gel polymer makes the Purple mattresses a great choice for combination sleepers. The grid collapses under the heavier parts of your body. So when you are on your back, it just lets your hips sink in. When you are on your side, your shoulders and hips sink in. On your stomach, the mattress keeps you completely supported. 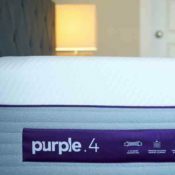 While all four Purple mattresses contain this technology, the Purple 4 has the thickest layer. It has 4″ of the gel grid, and because of this, it is my top comfortable mattress for heavier people. 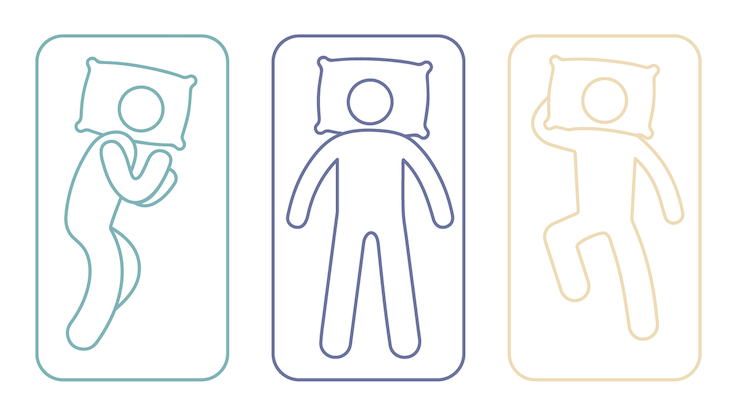 A major issue for heavier-weight sleepers is that they bottom out on softer mattresses. This happens when they push through the comfort layer and engage the firm support layers underneath. This shouldn’t be an issue on the Purple 4. The thick gel grid should ensure that heavier people feel both supported and comfortable without bottoming out. Lighter people should find the Purple 4 comfortable as well. However, I will note that they might find it firmer than a heavier person might. A lighter person won’t activate the gel material as much as a heavier person will, so the mattress will stay flat and probably feel firmer. It contains a hyper-elastic gel polymer that is supportive enough for back and stomach sleepers and pressure-relieving for side sleepers. The Purple 4 should also be one of the cooler-sleeping mattresses on this list. There is a lot of room for airflow in the gel grid, so this should be a completely temperature-neutral sleeping surface. You shouldn’t be sleeping hot on the Purple 4. The thick layer of hyper-elastic gel polymer makes this a great choice for heavier people. They should feel supported by the mattress and should feel great pressure relief when they are on their side. Because of the thick comfort layer, they shouldn’t be bottoming out. 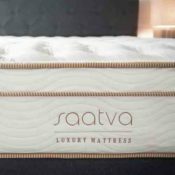 The Saatva is the only innerspring mattress on this list. While I usually recommend a memory foam mattress when you’re looking for a comfortable mattress, this pillow-top, innerspring mattress is still very comfortable. Memory foam mattresses aren’t for everyone, so if you like a spring feel with a pillow-top, this could be a great choice. This mattress is also a great pick for combination sleepers. 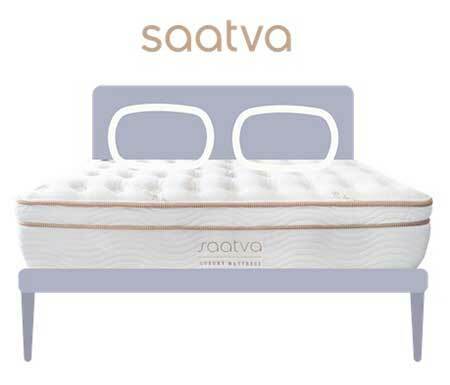 The Saatva features two layers of coils, which means this will be an extra-supportive mattress. Back sleepers and stomach sleepers should feel well supported on the Saatva. At the same time, the soft pillow-top offers a surprising amount of pressure relief. In addition, heavier people and those who need extra support but still want to be comfortable will feel right at home on the Saatva. The dual coil layers will keep you from sinking in too far, but will still contour well to the shape of your body. It is a great choice for those who want a comfortable mattress but aren’t a fan of memory foam. The Saatva should work for most combination sleepers. The dual coils should support back and stomach sleepers, and the pillow-top should offer pressure relief to most side sleepers. The dual layer of coils should also make this a good match for heavier people and those who need extra support. This should also be a cooler-sleeping mattress. Unlike memory foam, innerspring mattresses promote a good amount of airflow. Considering that the Saatva has two layers of coils, there should be plenty of airflow, and you shouldn’t be overheating while you sleep. 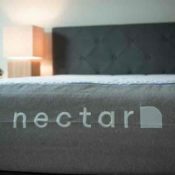 First, we have the Nectar Mattress. I feel very nice on this mattress. There’s a nice memory foam feel. On my back, I feel good overall support. On my side, I feel nice pressure relief, but the mattress is too soft when I am on my stomach. Overall, it’s a very comfortable mattress. On the Nolah, I am sinking too far into the mattress, especially when I am on my side. It’s not the best fit for me as a heavier sleeper. The Purple 4 is one of the better fits for a larger person like myself. It does a great job of compressing under the heavier parts of my body. So I feel supported when I am on my back and stomach. At the same time, there is great pressure relief when I am on my side. I felt good in all three positions. 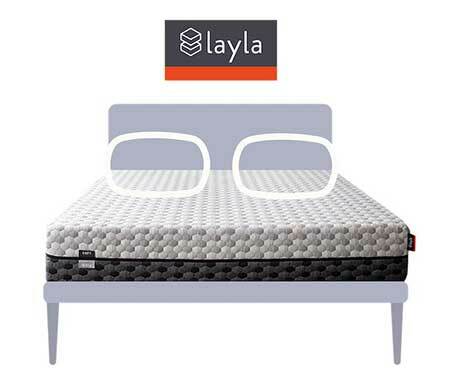 The Layla has a soft memory foam feel, especially on the soft side of the mattress. It relieves pressure on my shoulders and hips. However, when I was on my back and stomach, I needed more overall support. 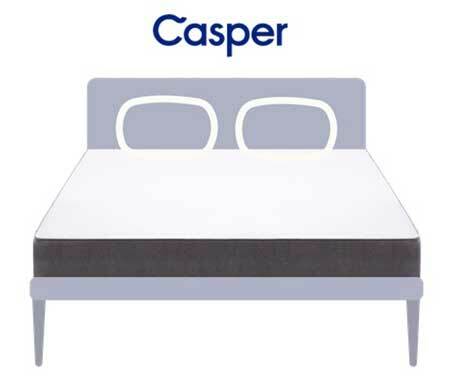 The Casper has Zoned Support, which is great for a heavier sleeper like me. I don’t sink too far into the mattress. I get a foam feel, but I don’t bottom out or get stuck in the mattress. Finally, the Saatva is a great fit for a heavier person like me. It has that pillow-top feel on top with the springs below. It supports me well, and the pillow-top relieves pressure on my shoulders and hips. This mattress is very comfortable overall. Marten’s positive experiences on the Saatva and Purple 4 support my point that these two mattresses are the best fit for heavier sleepers. He didn’t bottom out on either mattress, and he still felt comfortable in a variety of sleeping positions. Again, even though he was comfortable in certain positions on the other four mattresses, definitely consider your size and weight when you are looking for a comfortable mattress. If you’re a back sleeper, you might want to look for a medium-firm mattress with a balance of comfort and support. If you are a side sleeper, you should think about a softer mattress with good pressure relief. You want to ensure you don’t feel pressure on your shoulders and hips. If you sleep on your stomach, a firmer mattress might actually be most comfortable for you. If the mattress is too soft, your hips could bow into the mattress, and you could feel some serious back pain. 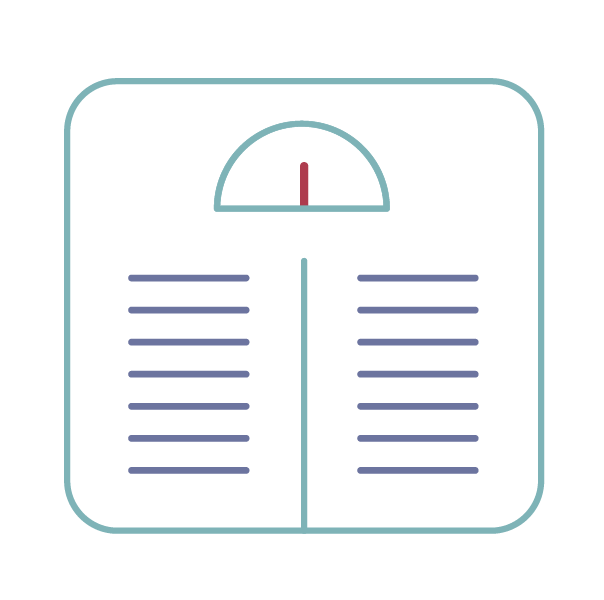 If you are looking for a comfortable mattress, you definitely want to think about your size and weight. For instance, if you are a larger person, a mattress with a thick memory foam comfort layer might not be the best fit for you. You might press too far into the mattress and engage the support layers underneath the comfort layer. This will add extra pressure on your joints, shoulders, and hips. On the other hand, if you are a smaller person, a mattress like the Saatva for Purple 4 might feel too firm to you. 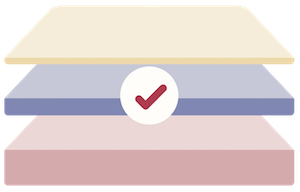 You might not be heavy enough to activate the comfort layers, so you might think the mattress feels too firm for you. What type of mattress is going to be most comfortable for you? Speaking purely in terms of comfort, memory foam mattresses are usually at the top of the list. This material lets you sink in, and it relieves pressure on points such as the shoulders and hips. Latex can be very comfortable as well, and it also features better bounce. In general, innerspring mattresses offer the least amount of soft comfort. Pillow-tops can help, but with all other factors put aside, an innerspring mattress can rarely compete with memory foam in terms of pure comfort. If you sleep with a partner, you want to make sure your mattress is comfortable for both of you. If your sleeping preferences are very different, finding the right mattress could be difficult. For instance, if you sleep on your side and are a heavier person, your idea of comfort might differ from that of a lighter-weight back sleeper. When it comes to choosing a mattress for you both, compromise is the name of the game. You should find a mattress that can give you both a bit of the comfort you’re looking for. Even if a mattress feels very comfortable when you lie down, you also want to think about how you’ll feel later in the night. Will you overheat or will you be sleeping cool? When it comes to keeping you cool, innerspring mattresses are going to be the better bet. Memory foam is known to capture body heat and redirect it back at you. This can cause you to feel hot at night. That being said, many foam mattress producers often add other features (such as cooling covers and breathable foams) to help combat this issue. In the end, pay close attention to what the mattress has to offer in terms of cooling features. When it comes to finding a comfy mattress, it really has to do with your personal preferences. That being said, I have tried many (many) mattresses, and these six feel the most comfortable to me. If you take a look at this list, I’m sure you can find the right comfortable mattress for you. If not, leave a comment below, and we can help you find a better option. Thanks for your videos and reviews. You do a great job and really have provided the info I need as a side sleeper. The pressure mapping tech is a major plus! I need a foam mattress that is cool sleeeping, and good for a side sleeeper and a combo sleeper(sde and stomach). Help!